When we came to Grace in 2000, I was a bit of a child. I won’t bore you with the details, but I was licking some spiritual wounds, sulking and searching. Church had exhausted me. I was looking for rest. We found it near the back of what what is now Central Auditorium. My wife and I stayed near the back for a long time. Years, in fact. Week in and out getting lost in this big church. No demands, no expectations. Just rest. As a psychologist, I tend to think healthy organizations follow patterns similar to human development. While some might be uncomfortable with the image of a young church showing off a bit, developmental psychologists would say this preadolescent showboating is necessary. You try things out. You get reinforced for what you do well and that, in turn, builds competence. Grace was figuring out how to be a church. In the process, it was allowing me the space to figure some things out too. By the time Grace was a restless adolescent, I was no longer resting in the back. A creative, worship arts had ensnared me. Some of my first worship arts experiences were things like “Blue Like Jazz” and a production of “You’re a Good Man Charlie Brown” (I still get called Snoopy – a lot) I was enamored by this notion that my gifts could be used to creatively connect others to Jesus. In the midst of all this creativity, I noticed Grace beginning to intentionally reach beyond its walls. Service and social justice emerged as a big part of Grace’s identity. Events like Weekend of Service were crucial in helping me to practically live out my identity as a Jesus follower. No doubt, this time period was tough. Like any teenager trying to figure things out, Grace changed. A lot. And often. It was a messy time full of hard conversations. But there was energy and action – not for the sake of doing church but for the purpose of being the Church. Grace was figuring out its identity as a church. In the process, it was allowing me to figure out my identity as a Jesus follower too. In the past few years I’ve seen a radical shift in Grace Church. As Grace approaches its 25th Anniversary, it has become a young adult. Erik Erikson suggested that the developmental goal of young adulthood is that of intimacy - a commitment born of deep love. Concretely, I see Grace Church working to connect intimately in so many places. In our approach to worship and prayer. In our service to others as we seek to bring healing to the Six Broken Places. In the multiplication of Grace. In our Way of Discipleship as we make disciples and launch them into the mission of God. Make no mistake, this is not showboating. Grace has grown up and it’s on a deeply important mission. As for me, I’m absolutely still a work in progress but I’d like to think I’ve grown up a bit too. Grace has had a lot to do with that. 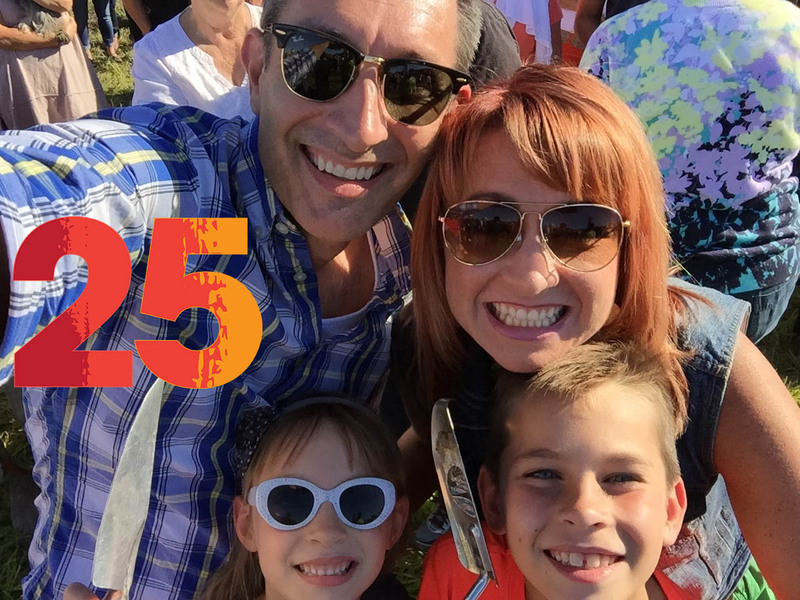 I’m thankful and full of anticipation for the next 25 years.